The River Cats welcomed Matt Gage back with four runs in the first inning on their way to a 5-1 victory over Las Vegas on Sunday afternoon at Raley Field. For a majority of this season, Matt Gage has been inside the Sacramento dugout playing for the River Cats. But Gage, who was released by the Giants, latched on with the Mets in early August. On Sunday, he was pitching against his former team. The River Cats welcomed him back with four runs in the first inning on their way to a 5-1 victory over Las Vegas on Sunday afternoon at Raley Field. Though the 51s (64-69) scored first with a Patrick Kivlehan RBI double in the first inning which drove in Matt den Dekker, Gage couldn’t hold that lead. With two outs in the first inning, Gage gave up back-to-back singles and then hit the next batter to load the bases. He walked in a run with the bases loaded to tie the game up and then subsequently allowed two more singles to Ronnie Freeman and Orlando Calixte to produce three more runs. 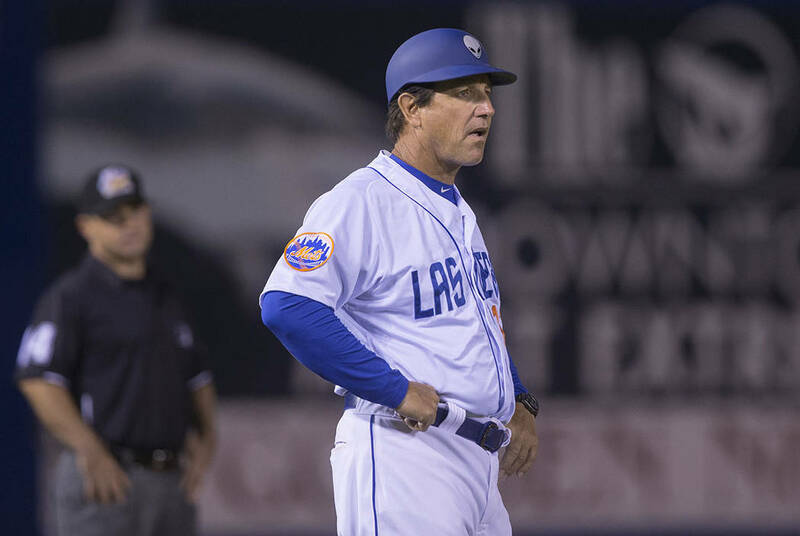 “He just couldn’t put them away in the first inning,” manager Tony DeFrancesco said. Gage allowed one more run to Sacramento (52-80) in the fourth inning on a Kelby Tomlinson RBI single. His day ended after four innings and five runs on eight hits and three walks. He struck out six in the loss. Following his departure, the bullpen turned in four scoreless innings after him with two from Corey Taylor and one each from Gerson Bautista and Jacob Rhame. But Las Vegas, though it struck first and had seven hits in the game, couldn’t do much else offensively. “We’re going to have to do a better job with situational hitting and driving runs in,” DeFrancesco said. The team finished 0-for-7 with runners in scoring position and left 10 on base.